The 1961 Zoning Resolution reflected significant changes in the urban fabric of New York City. The resolution was the first change to New York’s zoning since the first zoning code was passed in 1916. It was created to suit the changing economy, an increasing population, and the growth of automobile use. 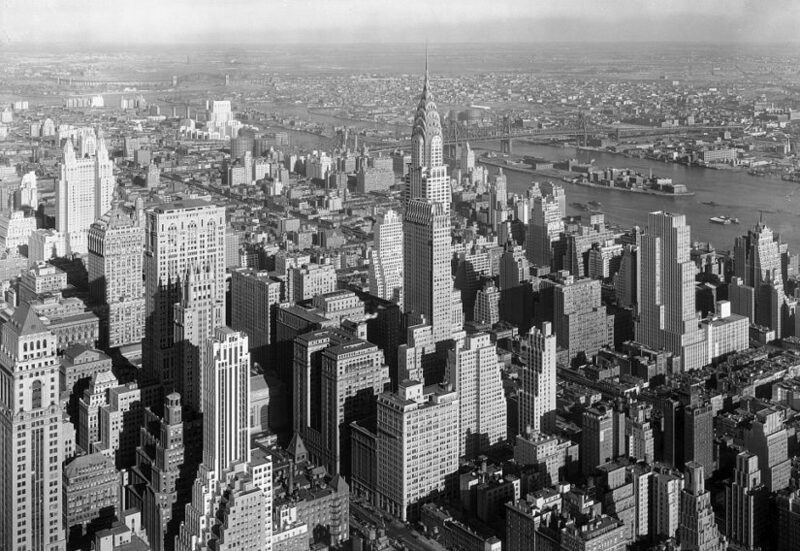 The 1961 Zoning Resolution divided New York City into residential, commercial, and manufacturing areas. It introduced the concept of incentive zoning by adding a bonus of extra floor space to encourage developers of office buildings and apartment towers to incorporate public plazas into their projects. In the City’s business districts, it accommodated a new type of high-rise office building with large, open floors of a consistent size. Elsewhere in the City, the 1961 resolution dramatically reduced achievable residential densities, largely at the edges of the City.1 The 1961 Zoning Resolution is still in effect today, though it is continuously being amended. April and May 1956: The City Planning Commission held a round of informal hearings on the subject of rezoning. After the informal hearings, the Citizens Committee for Modern Zoning was formed with the purpose of supporting Felt’s efforts. July 1956: Felt announces a new zoning study to be undertaken by the architectural firm of Voorhees, Walker, Smith and Smith. Anthony C. Wood, Preserving New York: Winning the Right to Protect a City’s Landmarks (New York: Routledge, 2008), page 230. Robert A. M. Stern, New York 1960 (New York: Monacelli Press, 1995), page 128. Anthony C. Wood, Preserving New York: Winning the Right to Protect a City’s Landmarks (New York: Routledge, 2008), page 231. Municipal Art Society Board Meeting Minutes, 28 September 1959, Municipal Art Society of New York Records, Archives of American Art. Anthony C. Wood, Preserving New York: Winning the Right to Protect a City’s Landmarks (New York: Routledge, 2008), page 245. ”Memorandum No. 6, Suggestions from Arthur C. Holden, Proposed Local Law for Preservation of Places and Structures of Historic or Aesthetic Value,” April 1960. Professional papers of Robert C. Weinberg, Long Island University. Richard J. Whalen, “A City Destroying Itself,” Fortune, September 1964.